For the first time since 2012, the traditional Flying Lizard Motorsports liveried Porsches will return to Mid-Ohio SportsCar Course. 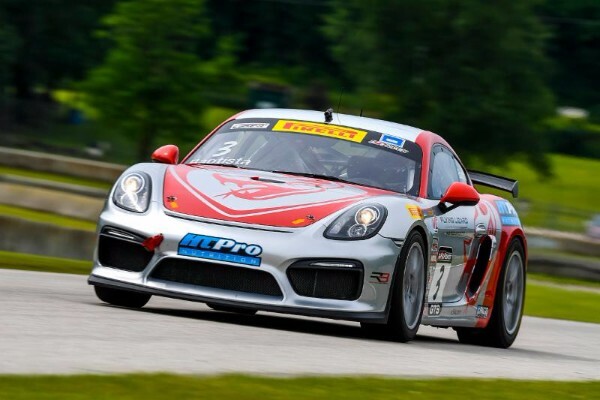 The team has shown great success at the Lexington, Ohio track, boasting five wins and three additional podium finishes from 2004 to 2012.This weekend, the two Porsche Cayman GT4 Clubsport MRs will compete in Rounds 11 and 12 of the Pirelli World Challenge GTS championship. Nestled in the corn fields of Lexington, Ohio, Mid-Ohio SportsCar Course is a favorite in the motorsports community. The 2.4 mile, 15 turn road course showcases several medium speed momentum corners, which will suit the Porsche Cayman GT4 Clubsport MRs well. The length of the back straight will lend itself to the Porsches, allowing them to gain sufficient ground compared to the front straight. The V8 engines of other competitors in the field will be a challenge, exploiting an advantage with the torque necessary to handle the track’s elevation changes. As is typical for this time of year, rain is expected in the forecast for Thursday and Friday, potentially minimizing the amount of time the drivers will have to get acquainted with the track’s dry racing line. Nate Stacy is familiar with the track and finished second at Mid-Ohio in 2016, but Rodrigo Baptista will be racing on the road course for the first time. With just four stops remaining on the 2017 season calendar, Flying Lizard Motorsports has a strong standing in second in the GTS team points, with Porsche also holding second in the manufacturer points. With two wins and three top five finishes, Baptista stands third in the driver championship points. Stacy holds two podiums and one top five finish, earning the fifth place slot in the championship standings. Race one of the Grand Prix of Mid-Ohio will go green Saturday, July 29 at 10:55AM, followed by race two Sunday, July 9 at 9:05AM. 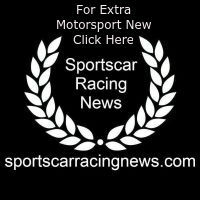 Visit world-challenge.com for event and broadcast information. This will be the first time we’ve been at Mid-Ohio Sports Car Course with the Porsche Cayman Clubsport GT4 MRs. From a handling standpoint, we feel like we should be pretty good. Since this is our first time here with these cars, we have a lot to learn in a little time. Our competitors may have a head start, but we also have a lot of knowledge from our previous experience here. Our results have improved as the season has continued, so we’re looking forward to another strong performance at Mid-Ohio. I am very excited to race at Mid-Ohio. I never been there but looks like a track where we will be always working and it’s pretty suitable for our Porsche Cayman GT4 Clubsport MR. I’m still working on the simulator, hoping to get there and be at the top of the list since the first practice. I’m ready to get back behind the wheel of my Flying Lizard Porsche Cayman GT4 Clubsport MR. I’ve been practicing for the past two weeks non-stop, getting ready for this weekend. I can’t wait to see all the sights and hear the sounds of my Porsche.